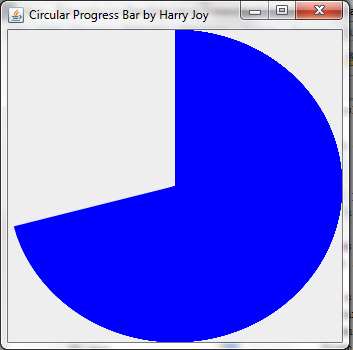 * Circular progress bar panel. Add this code to paintComponent method and once again run the program. Now you will see something like in first picture. In above code FRACTION is the width you want for your progress bar. 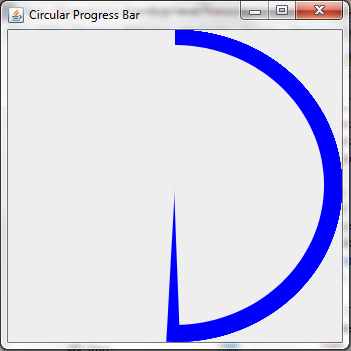 Lesser value of fraction, wider the progress bar. One more difference in 2 fillArc method is in the start angle, in first method it is 90 and in second its 92. This difference will be width of the middle hand.